OH MY GOSH! Who loves chocolate? You're going to love this! When I was sent some of Wonka's Exceptionals Chocolate to try out, I melted when I opened my box of chocolates! In it contained some nommy flavors. There were 2 new flavors which included Triple Dazzle Caramel (milk chocolate filled with luscious caramel, dazzled with sea salt) and Fantabulous Fudge (milk chocolate stuffed with fudge). I also received Chocolate Waterfall (milk and white chocolate) and Scrumdiddlyumptious (chunks of toffee, crispies and peanuts in rich milk chocolate) to review. If you haven't seen the Wonka Imagination Room yet, you should definitely check it out. I had a lot of fun being silly and playing around with it. Your kids will have a blast with this. Buy It: Wonka Exceptionals Chocolate is available at your local grocery stores! Win It: 1 Whirlwind of Surprises' reader will win a 16 bars of Wonka Exceptionals ($38) for themselves, 4 of each flavor!! Come back to enter the giveaway! Make it easier on yourself by showing the sponsor some love now: Like Wonka on facebook. Follow @WONKAnation. I LoVe Chocolate!!! but I've never tasted a Wonka's Chocolate Bar, I bet they are all mmmm so Good! Triple Dazzle Caramel sounds Scrumdiddlyumptious for sure! They sound awesome. I love Wonka products. I'm heading to the store tomm, and am going to see if they have any of the Scrumdiddlyumptious. Love the Caramel ones! YUMMY! i've wanted to try these for a while! i remember the wonka bars when the remake movie came out, they were GREAT! i normally don't like graham crackers but the graham cracker and chocolate of those tasted so good! I don't know what happened to them but these look great! These look and sound SO delicious, especially the Scrumdiddlyumptious ヅ Thanks for your honest review! I haven't tried these yet. They look delicious! Oh my!! Sounds so yummy! I have never even heard talk of this chocoalte before or tried it,I thought it was only a movie..lol..but sure want to try it now!! yum, these sound delicious! I can't wait to try them! OOHhhHH! I LOvE Willie Wonka! this chocolate is so delicious! I am entering! I am so entering this giveaway! LOL I love Wonka chocolate! Yum! I've had the three old flavors, and I loved Scrumdiddlyumptious the most!! I'm entering your giveaway so I can try the two new flavors too!! Just the thought of that caramel one makes me drool! I can't believe you couldn't pick out a favorite! I love chocolate but have never tried Wonka! They all sound great! Oh MY! Who doesn't LOVE Wonka?? The only thing better than eating a Wonka bar would be visiting the Wonka factory! I still can't give up that dream, I've wanted to do it since I was a kid!! Sounds so yummy! Nothing better than chocolate :) I definitely want to try Wonka's! I would love to try the chocolate waterfall chocolate. I haven't tried any of these wonka products. I do love wonka's other candies but I don't think I have tried their chocolate. Sounds delightful. YOU ARE SO LUCKY! I WISH I HAD YOUR CONNECTIONS, LOL. I love any kind of chocolate! These sound so good! I love chocolate and Wonka Chocolate is no exception. I'm already in love with the Caramel bar so I would love to try the Fudge Bar! I think the Fantabulous Fudge sounds yummy!! I have not tried Wonka Bars yet but it's chocolate, right? I want some! Those sound delicious. I bought a couple chocolates from them a few years ago for the first time, and was really surprised bow how much I liked their chocolate! Yum, these look so good. Wonks chocolate is Exceptional! I love all the flavors. I'm glad you said they taste good, I wasn't sure when I saw them in a candy store, and didn't buy them! As a chocoholic, this would be a marvelous one to win. Would try the Fantabulous Fudge first. These look yummy! 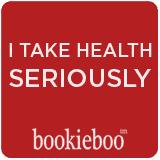 Thansk for the review! 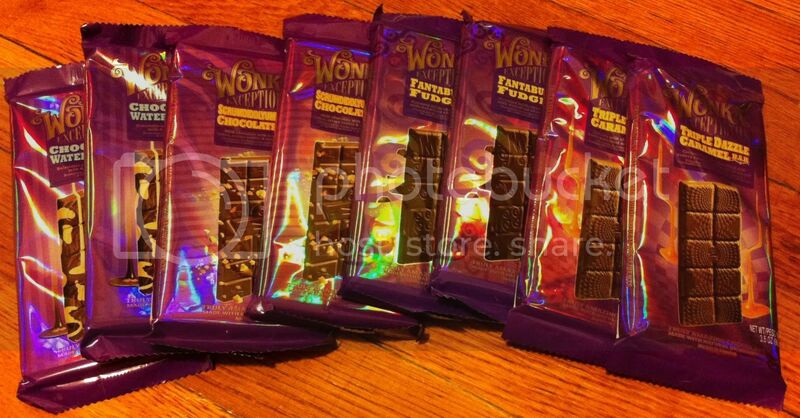 I love chocolate of all kinds and the Wonka bars definitely sound wonderful! The Fantabulous Fudge sounds like it would be my favorite. I will eat any chocolate that doesn't eat me first! Chocolate is my middle name! I have not tried any Wonka chocolate bars yet, but the Scrumdiddlyumptious sounds fantabulous!